1. A Wedding in Provence starts by introducing a happy couple on the way to their idyllic wedding. How did this affect your expectations for the book? Were you nervous about how events would unravel? 2. Nell is clearly a loose cannon. What were your initial thoughts when she decided to bring Gavin to the wedding? Did you think he was dangerous, or just a fun-loving, spontaneous stranger? 3. Were you surprised when Carly took off with Gavin? Why or why not? 4. In many ways Carly is Nell’s opposite, but the two sisters end up attracted to the same man, however briefly. Is it possible that they aren’t actually as different as they seem? Do you think they share any other qualities? 5. At the beginning of Chapter Sixteen Olivia and Emily are discussing Nell’s vulnerability. Was Emily’s advice to Olivia helpful? How would you have suggested Olivia manage her daughters’ differences? 6. After learning that Sebastien cheated on Emily, Olivia is clearly rattled. She says “We’re brave old fools…. We still choose love when we know everything that can happen,” (pg.19). Do you think a marriage can survive infidelity? 7. What did you think of Sam leaving Fanny after fifty-five years of marriage and refusing to come to Brody’s wedding? Were you surprised when you found out why? 8. 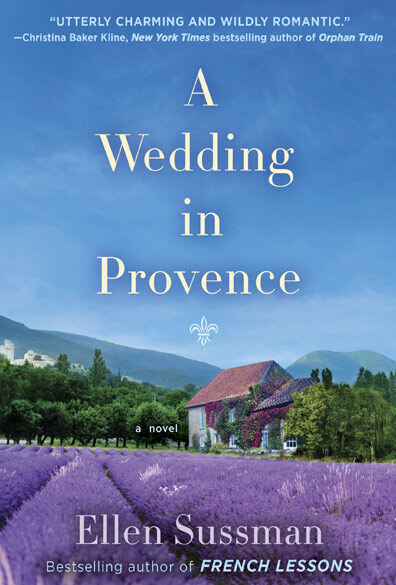 Throughout the novel Olivia and Brody are faced with numerous obstacles that threaten to ruin their low-key wedding weekend. From Nell’s surprise guest, to Carly’s disappearance, to Sebastien’s infidelity, which do you think caused the biggest stir? Why? 9. Of all the characters in the novel, which one did you most sympathize with? 10. Even though Olivia’s big day is the backbone of the plot, the narrative rotates between her perspective and each of her daughters’. Was there ever a time when you felt drawn to one of the three points of view more than the others? If so, when and why? 11. As Olivia and Brody get ready to commit to marriage, they witness their friends and family struggling with relationships. Is their love tested by these struggles? Do you think it’s hard to say yes to love when we know everything that might go wrong in a marriage? 12. Of all the themes present in this novel – love, loss, starting fresh – which resonated with you the most? Why?